Amaze your loved ones by gifting them this Finest 8Pcs Cadbury Dairy Milk Chocolates Gift Set and make them crave for more. Send this Gift Set with comprising Finest 8 Pcs. 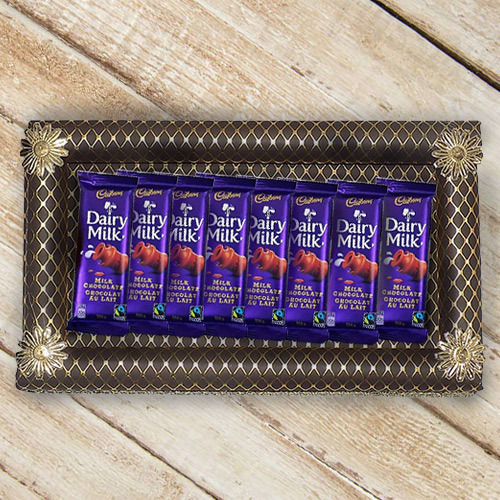 Cadbury Dairy Milk Chocolates Gift Set which is specially presented in a decorative Tray.